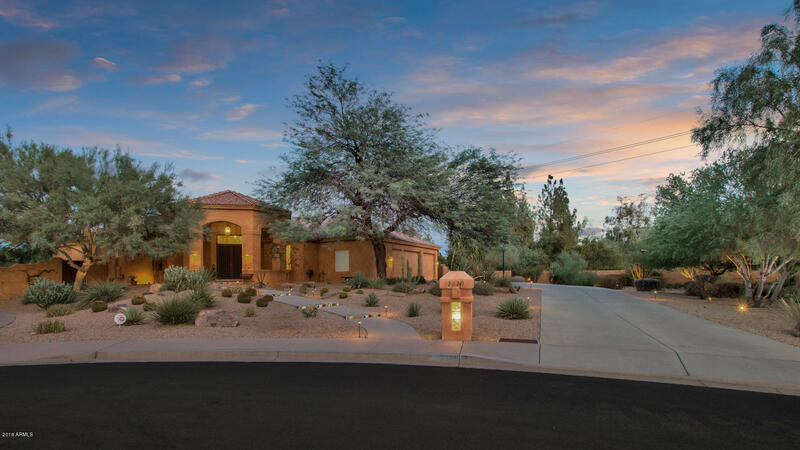 All NORTH RIDGE HILLS UNIT TW homes currently listed for sale in Mesa as of 04/19/2019 are shown below. You can change the search criteria at any time by pressing the 'Change Search' button below. "4,651SF, 5BD/5.5BA custom home situated on 1.05 acres in private cul de sac. This resort-style home offers formal dining/living room w/fireplace & 18' ceilings. The gourmet kitchen feat. granite countertops, SS appliances w/built-in fridge, pantry & TONS of storage. Getaway to the master suite w/ his/her vanities, jetted tub & walk-in closet. Secondary bedroom offers handicap-accessible bathroom. Escape to the walk-out basement, boasting its own family/great room w/ fireplace & 3 add'l bedrooms."